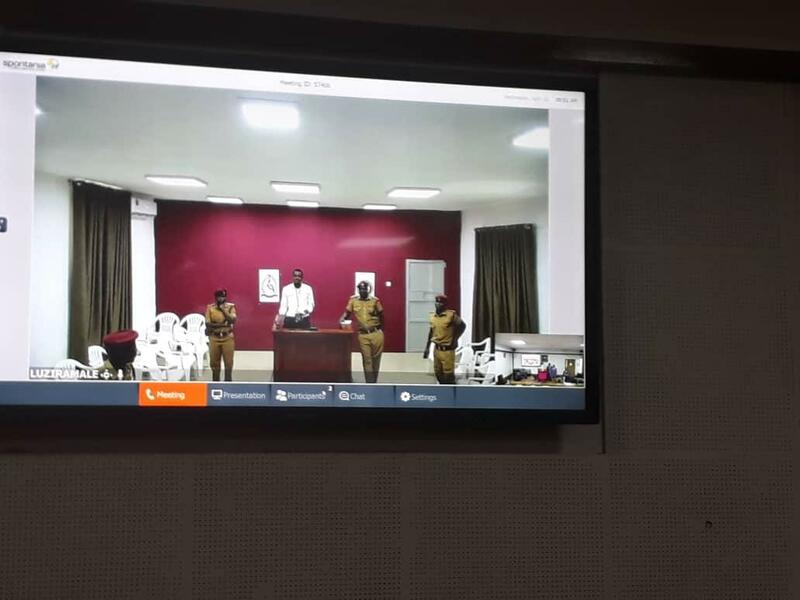 KAMPALA – Chief Justice Bart Katureebe will, on Monday, April 15, commission a video conferencing system in Luzira Maximum Security Prison. The facility will be used for the mentioning of criminal cases before they are fixed for trial. Buganda Road Court will also handle related cases on behalf of the Magistrates Courts of Makindye, Nakawa, Nabweru, Law Development Centre, Kira, City Hall, Nateete/Rubaga, Luzira, Kasangati and the Anti-Corruption Court. Court of Appeal’s Justice Geoffrey Kiryabwire, who chairs Judiciary’s Technology Committee, said last Wednesday, April 10, after leading a technical team inspection to Buganda Road Court, NITA and Luzira prisons, that the facilities were satisfactory. NITA’s executive director, Mr. James Saaka, said the facility is designed to connect the courts beyond the geographical boundaries to provide faster administration of justice. He said recordings from all court sessions will be safely kept in the National Backbone Infrastructure at the National Data Centre. The Officer in Charge of Luzira Upper Prison, Mr. Moses Sentalo, applauded the move. He said a team of Uganda prisons staff have been trained to operate the facility.